Pin It Now! Lailah Adame Chatto is 39 years old from The Philippines but currently she is working in Hong-Kong. Lailah loves Manchester United since 2009. 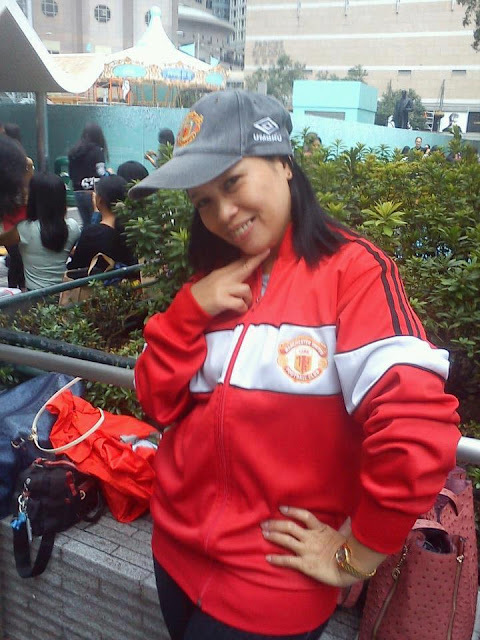 She started to support Manchester United because they are the number one club and have many fans in the world. Wayne Rooney is her favorite player this season and he and George Best are considered by Lailah as the best player that ever played in the club. Unfortunately Lailah hasn't been in matches of the club but she watched them via the internet and wish that someday she will visit Old-Trafford. Every time that Manchester United win, Lailah believed that it's a great time to save. Alex Ferguson is one of the greatest managers in the world and she wants to bring back Christiano Ronaldo. She loves the all players in the club and think that the club will win the champions League. And What makes Manchester United as a special club in comparison to other football clubs in the world? Lailah sure that Manchester United are the great club and many fans in the whole world.